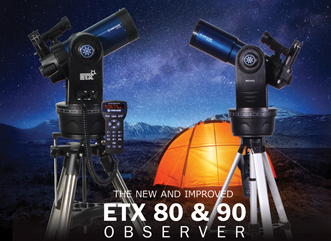 Meade LX850 review first published in Sky & Telescope magazine. Can this mount’s full-time automatic autoguiding make everyone a deep-sky astrophotographer? There are more active deep-sky astrophotographers today than ever before. We have digital imaging and an abundance of commercial gear to thank for that. But there are also many would-be astrophotographers waiting in the wings. The reasons why they’ve yet to take the plunge vary, but I know that for some it’s the complexity of assembling a deep-sky photography system. Just deciding what telescope, mount, autoguider, camera, and software to buy is difficult enough, but even more daunting is getting everything to play together nicely. Many see it as an overwhelming challenge, and it’s these people that Meade must have been thinking about when the company set about creating what is now sold as the LX850 Astro-Imaging System. On paper the LX850 sounds simple — a German equatorial mount with a built-in autoguider (called StarLock) that autonomously begins tracking the sky whenever you point the mount at a celestial target. It’s completely self-contained; you don’t need any external hardware or software. Just add the telescope and camera of your choice, open the shutter, and you’ll be on your way to making deep-sky masterpieces. 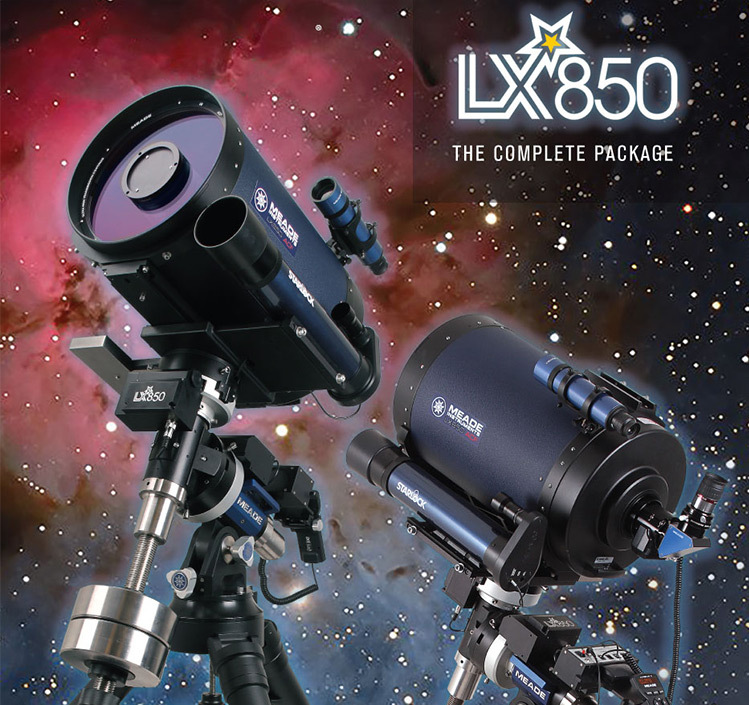 Above: Meade’s LX850 Astro-Imaging System with full-time, 100% automated autoguiding is a major leap forward for deep-sky astrophotographers, especially beginners. It does for long-exposure astrophotography what Go To telescopes did for observing. Although the 12-inch model pictured here weighs more than 200 pounds, it breaks down into manageable pieces. But as everyone who has done it knows, autoguiding can be difficult even with careful human oversight. 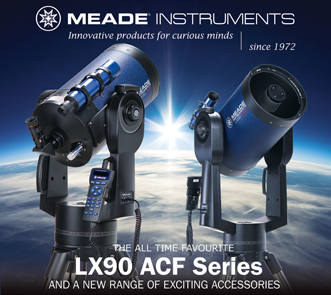 Meade has successfully tackled difficult technological challenges in the past (the self-aligning LightSwitch telescopes are a good example), so it’s not surprising that the company attempted this one. But for the LX850 to be deemed a real success, the system has to work for its target audience — people with little or no experience doing deep-sky astrophotography. And that’s definitely a tall order. Nevertheless, after extensively testing the LX850 this past summer and fall with a Meade 12-inch f/8 ACF telescope, I’m comfortable saying that the company hasn’t just been successful in achieving its goal; it’s been stunningly successful. To understand why and how I’ve come to that conclusion requires a bit of backstory. So, bear with me for a moment while I explain. There are no unbreakable rules for deep-sky photography. Even my long-standing quip about having to do it at night isn’t true in an age when astrophotographers use the internet to control telescopes half a world away. But some generalizations do apply. 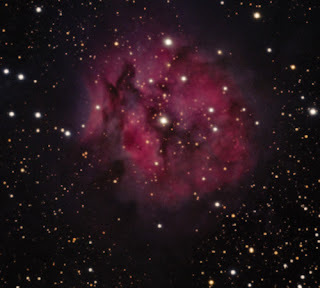 Foremost is that digital photography allows us to assemble great images of faint celestial targets with individual exposures that are relatively short. With just about any telescope and camera combination, the world of deep-sky photography is wide open to you if you can make exposures up to 10 minutes long. 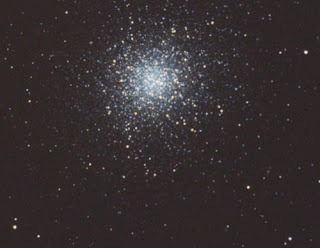 Some form of guiding is needed to consistently make usable 10-minute exposures, and traditionally astrophotographers have done this by tracking a guide star in or around the field being imaged. Crosshair eyepieces and push-button hand paddles are all but extinct now that today’s deep-sky photographers have switched to electronic autoguiders. But autoguiding is a complex melding of hardware, software, and technique. I started out in the late 1980s with the original SBIG ST-4 autoguider (which is like telling someone you learned to drive with a Ford Model T). And after nearly 25 years I still consider myself lucky if I can shake most of the autoguiding bugs out of a new deep-sky setup in only a night or two. And that’s just the mechanics — there’s still the “art” of selecting a suitable guide star and setting an autoguider’s “soft” parameters (exposure time, aggressiveness, etc.) every time I switch to a new target. This is why Meade faced an uphill battle to create a system that could do everything autonomously with equipment that beginning astrophotographers could easily master. 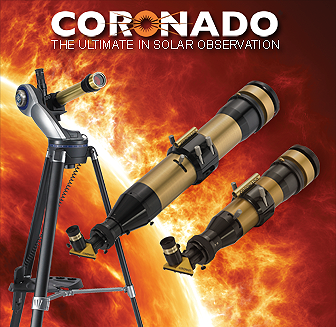 Meade offers the LX850 as a package deal with four telescopes: a 130-mm f/7 APO refractor, and 10-, 12-, and 14-inch f/8 Advanced Coma Free Schmidt-Cassegrains. We borrowed the 12-inch scope for this review since its 56-pound (25-kg) weight places a significant load on the mount (the 14-inch is only 7 pounds heavier). This scope’s 2,400-mm focal length also places significant demands on the autoguider, since it greatly magnifies even tiny guiding errors. Left: The heart of the StarLock system is a pair of digital imagers that you can attach directly to the mount (shown here) or to the main telescope. The author never had StarLock fail to automatically find and track a guide star. It also assists with the LX850’s polar alignment, high-precision pointing, and periodic- error reduction in the mount’s drive. Right: The LX850’s electronics are completely self-contained and built around Meade’s time-tested Autostar II hand controller. The mount is also plug-and- play compatible with any modern autoguider that is connected to the “aux autoguider” port. StarLock automatically defers to commands from an external autoguider when it senses signals sent to this port. I was as amused as my colleagues when a freight truck arrived at our offices to unload the LX850; the shipment included nine boxes (one of them huge) totalling 379 pounds. Nevertheless, when everything was unpacked, all the gear fit in the back of my small sports coupe with the rear seats folded down. The complete scope, as pictured on the first page, weighs nearly 250 pounds, but it breaks into components that are relatively easy to transport and assemble (the heaviest piece is the 68-pound equatorial head). For the first month or so of testing, I stored the LX850 in my garage. Even when stripped of the most massive pieces, the tripod with the equatorial head attached was too heavy and awkward for me to drag from the garage to my observing spot just a few feet away in the driveway. Everything had to be broken down to be moved. There is, however, a dividend associated with all this weight — the LX850 is a remarkably solid mount, and it handled the 12-inch scope with ease. Flexure, the bane of many autoguiding systems that use a separate guide scope, was all but non-existent. The LX850 is also very well engineered and equally as well manufactured. Because of careful design, the only tools needed to assemble the mount are two Allen (also called hex) wrenches. Meade supplies them along with a special tool that fits the two sizes of hand knobs on the mount, but you can still turn these knobs without the tool. The heavily illustrated user’s manual gives very clear instructions for putting every thing together and roughly adjusting the mount in preparation for a night of observing. My biggest complaint about the mount is the short, coiled cord on the hand control — it could easily stand to be three times longer than it is. 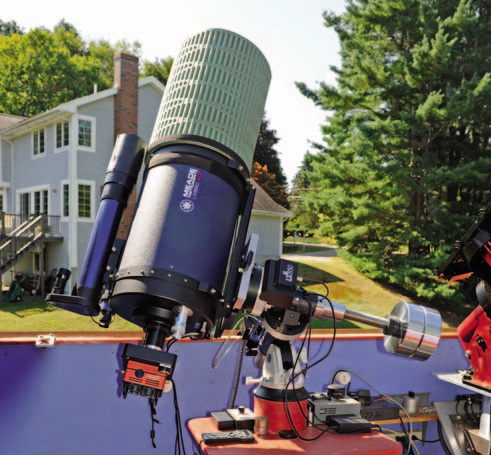 After weeks of testing the LX850 as a portable setup in his driveway, the author moved the scope to a pier in his backyard observatory where it was more convenient to work with the SBIG STT-8300 CCD camera seen here and its associated computer equipment. He used StarLock for a “drift” polar alignment (see the text for details), on the first night and then just “parked” the scope after each observing session. As such, he could begin on subsequent nights without having to align the scope again. Once I was familiar with the scope and working at a leisurely pace, I could assemble everything in less than half an hour (on many nights I did it in about 15 minutes). As stars emerged from the evening twilight, I would power up the LX850 and spend about 15 minutes working through the mostly automated steps needed to polar align the mount. This requires having a clear view of Polaris (or another suitable polar star in the Southern Hemisphere). Without a clear view of the celestial pole, observers will need to use alternate alignment methods. Pressing a few more buttons on the hand control let me slew to any of thousands of objects in the scope’s data base. The LX850’s default setting uses the pair of sensors built into the StarLock autoguider to precisely center each deep-sky object by offsetting from nearby bright stars — the process, which can be turned off, is completely automated and adds less than a minute to the time needed for a regular Go To slew to a target. It’s very accurate, and a boon to anyone working with a camera (or eyepiece) that has a small field of view. Within 15 or 20 seconds of slewing the LX850 to a target, StarLock would automatically find and begin tracking a guide star. I could then open my camera’s shutter and make successful 5-minute exposures. If, during the setup procedure, I took the additional 15 minutes or so needed for a more accurate “drift” polar alignment (another process that’s highly automated by the StarLock system, as well as one that can be used when Polaris is blocked from the observer’s location), I could easily make success- full 10-minute exposures. This didn’t happen on just a few “lucky” nights; it happened every night. Throughout the summer and early fall I photographed dozens of objects, making hundreds of 5- and 10-minute exposures. On a microscopic level some images had stars that weren’t perfectly round. But when stacking individual exposures to create final images, I never rejected a single frame because of the guiding. Never! Not one! This is an astounding track record for the LX850, especially because I always used StarLock’s default settings. There are only a few things that advanced users can do to tweak StarLock’s autoguiding, but none that I tried gave better results than when I just let StarLock do its own thing. It’s a system that beginners can use out of the box and consistently get good results. So, were my experiences with the LX850 all smooth sailing? The short answer is no. And the reason why can also be summed up in a single word; documentation. I approached the LX850 with the mindset of a beginner, and as such I relied heavily on the instructions in the manual and, more importantly, those that scroll across the hand control’s display and are thus easiest to use in the dark. I found some of the instructions confusing. But a far bigger problem was the conflicting and misleading information shown on the scrolling display compared to that in the printed manual. It took several frustrating hours spread across two nights for me to sort it all out and realize that the manual, and not the scrolling display, had the more accurate instructions for initializing and polar aligning the mount. And you have to properly execute these steps before you can use the LX850. Hindsight made this seem even more ironic, since what you need to know to get started with the LX850 is really quite straightforward. In my opinion, it’s no exaggeration to say that a beginner equipped with a good “quick-start” guide could power up an assembled LX850 for the first time and have the system ready for autoguided exposures in less than 30 minutes. The good news is that Meade says it’s working on an updated manual. The space here limits my comments mainly to the mount’s unique autoguiding capabilities. But even with a review five times this size I couldn’t cover all of the features of the LX850 Astro Imaging System. 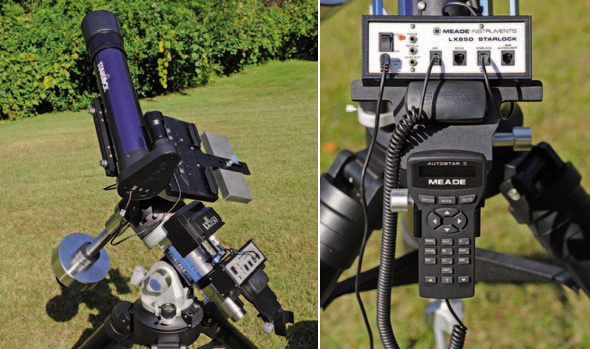 Many of them, however, are found in all of Meade’s Go To telescopes equipped with the time tested Autostar II controller (see, for example, our review of the 8-inch LX200GPS in the March 2003 issue, page 50). Likewise, the 12-inch f/8 Advanced Coma Free Schmidt-Cassegrain scope I tested has the same optics that were in the RCX400 scope that we reviewed in the February 2006 issue, page 78. In the history of amateur astrophotography, autoguiding turned a lot of people on to deep-sky photography (it was a rare breed of individual who could tolerate hours of manually guiding a telescope). Today’s autoguiders are far easier to use than the early models, but they are still challenging to master. 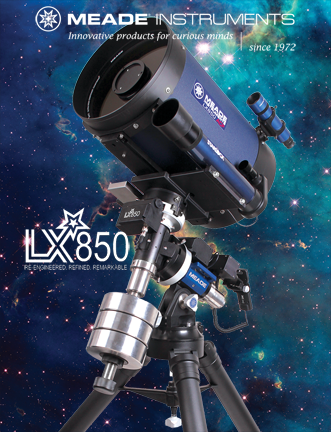 So by that standard, the LX850 Astro- Imaging System is a quantum leap forward. It has done for deep-sky astrophotography what Go To telescopes did for observing, turning what many consider a daunting task into something that can be done with push-button ease. It’s quite an accomplishment. 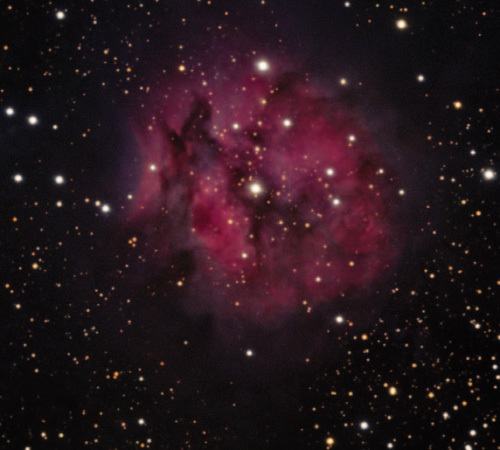 Reviewed by Dennis di Cicco, Senior editor Dennis di Cicco has been guiding telescopes for deep-sky photography since the 1960s. 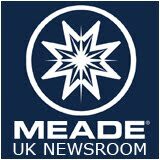 The Meade UK Newsroom is provided by Opticstar Ltd, official importer of Meade Instruments in the United Kingdom. The newsroom is a depository of news and information on Meade related topics. © Opticstar Ltd. Powered by Blogger.